I’m at a place in my game where I am starting to have multiple good ideas, but no idea which I should choose. In this post, I am going to write my thoughts and try to organize them in a way that will make sense. Hopefully, writing the ideas out will help me make some decisions. I also hope that you will be inspired to incorporate some ideas into your games too. My plan is for different Supers to provide side mission options. For example, Ironman could provide a side mission where students must figure out how a certain math concept is used in the world outside the classroom. This fits with Ironman’s character – he uses math all the time to solve problems that come up with his suit or on his missions. My plan is to have an ever increasing variety of side missions students could choose to go on. Some missions – like Ironman’s – would be continuous; students can complete that side mission once per unit. Some side missions will be one-time-only and some will be only for students who can find them. Should I create an item for each side mission – Ironman’s Plasma Cannon – or should each successful side mission earn a badge? On the one hand, the items are useful. On the other, the badges are collectible. The items are consumable and tradeable, but badges will eliminate the jeopardy effect. I’m leaning towards items, but am quite worried about the jeopardy effect. I can’t think of where I could give badges other than the side missions. I wonder if I will even need badges since students can redo any assessment and there will be lots of side mission opportunities. Do I want to use antagonists of my own creation or supervillains from various franchises? Pros: Using supervillains would be easier because I can just grab images from the internet. Using my own characters would create a more unique storyline. Cons: If I use existing villains, what could I use for my storyline? Why would the real superheroes leave a bunch of trainees to battle legit supervillains? If I use my own characters, how am I going to get images for the skirmishes and clashes? I’ve also been toying with the idea that I am the villain. They find out at the end of the year and have to defeat me by showing they know more math collectively than I do alone. The communication could be audio clips with voice changed, me sitting in shadow with voice changed, random letters, encrypted notes that they have to solve math problems to read – basically my plot with the trio, but with just me instead. I could still use the Denominators as my henchmen. I do wonder what I could use as the enemy for my bigger reviews/clashes… What do you think? If I get the position I’m hoping to get, I will have the opportunity to spend class time on higher creativity problems. Students will have more opportunity to earn xp on main missions, something I didn’t think I would have the opportunity to do. As a result, I’m rethinking my “star” system. I think I’ll keep the stars, but add another column to convert them to xp. If I were to NOT include their concept checks (quizzes) in xp, how can I show their importance – other than grades. Maybe that is where they earn badges?… If I eliminate stars as the sole “xp” and introduce real xp, what can I use for a currency to buy more cards? I don’t want them to use their xp. Maybe stars can be used like gold and that is the currency they can use to buy cards? Would that overpower the students who have higher grades? I don’t want that to happen, but I want to show the value of retaking the assessments. Thoughts? Breaking the 4th Wall – Project a frame with Deadpool on it every time I break the 4th wall and talk about the game, game mechanics, etc with students. Deadpool, because of his character traits, should probably not be in the game otherwise. idk…maybe he can be on a sabotage card…(secret side quest). Find more real looking (proportional heads) Bitmoji substitute and use it to make characters. When a new character is introduced and their power is found out – a side quest is released where students design their own version of the characters. First character is the Denominators. At the beginning of each unit (on test day from previous unit? ), the antagonist leaves a riddle in some way (altered voice, unaltered voice, video, paper slid underfoot mysteriously). The riddle includes clues about what the subject of the next puzzle is going to be. Students who can figure out the topic the riddle is alluding to get additional xp. If students come to class the next day and no one solves the clue, then the “experts at SHIELD” solved it. 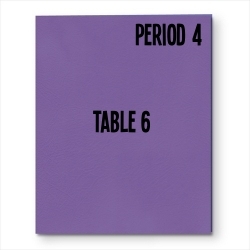 This makes it where students can start working right away without wasting class time. Completing a super’s quest earns the player that super’s card. More powerful supers have stronger cards. Secret missions are the strongest cards. Some cards are 1 use only and some are luck (dice-roll) based and can break. Better cards require more work to earn. Low quality work may need to be improved before card can be earned. Students receive stars for showing proficiency at standards. Students can use their stars to buy items (cards) in the shop. If everyone worked very hard and there is a bit of time left over – auction off a mystery card. Students use the stars (in game currency) to bid. Mystery cards are in envelopes. They vary in rarity and power. Have an antagonist tell the players “do you think this is a game?” “This isn’t a game!! !” “What game are playing at?…” to create more realism and paranoia. Trio powers. A player from every guild must use to attack. Have meeting once a week or more as bellwork. Students come in and have a few minutes to jot notes about how they feel about how class is going. What they need. How the game is going. Use tech, if possible, for most participation from introverts. Discuss. “I see here that some of you are feeling/struggling with ___. Can someone give me more information? Newspaper mock ups of Reading Newspaper. It never gives the trainees credit because no one knows about them. It’s a secret. Item to allow student to wear one of my two capes for the day. Leaderboard with superhero identities? Identities are given at random based on student’s power? Item – Mission Extension 24 or 48: This card granted players a 24 or 48-hour extension for completing any mission. Put training school brand on every piece of paper, video, etc that students will see. Students occasionally receive side missions from shield. This could be a way of allowing student choice. Students could choose to continue with the main mission or do the new mission instead. Missions from SHEILD are encrypted, so they have to use a cipher to decode. Maybe some of these are temptations so students in the low half of the leader board can catch up (Mario Cart – give more to the players in the back). Maybe make some of these for groups who are bottom half. Secret Side mission – mission comes in large Manila envelope, but trainees are not allowed to work on it. It is for Agent Evans’ eyes only (envelope is labeled as such). 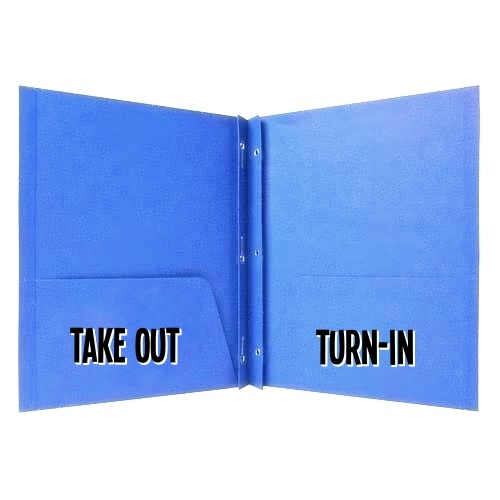 Trainees must sneak the envelope, figure out how to read it without opening it, and solve. Trainees are instructed to do so if they gain access to a secret side mission. Envelope must be prominently displayed for ease of theft. Rules: can not be caught, can not tamper with envelope, must be returned without being caught, must write solution in secret side mission portal (google form). This can create some distrust of Agent Evans for more game depth. She is not who she seems to be. Keeping secrets. Etc. Side missions are awarded up to 4 stars, but can get bonus stars for excellent work. In the program they will be denoted by “⭐️⭐️⭐️⭐️+2” etc. This will make up for the relative scarcity of side missions. Secret side missions will be awarded in the same fashion. Possibly denote ahead of time how many additional stars are possible on mission instructions? Include minimum requirements, but state that additional elements or outstanding work can earn additional stars. Side missions – make a flipgrid, real life math problem, who invented this and write a paragraph, job that uses this and write a paragraph (or tape interview), make a board game, invent item for game. Create soundboard (with buttons) of different phrases that antagonist could say. “How dare you block my turn” “ I’ve got you now” “do you think this is a game?” “You can’t see me” etc. figure out how to keep secret side mission titles from being listed unless completed. hmmm…maybe the achievers and explorers would benefit if they were listed..
Have percentage of game completed listed on student home screens. Side mission – find a video game where a knowledge of mathematics gives the player an edge. More stars earned for higher mathematics needed. After a few skirmishes, start including different kinds of Denominators with different looks and weaknesses. Each class is trying to join a different superhero team upon graduation from the training program. Justice League, Teen Titans, Avengers, …? I’ve been thinking about this quote all summer. I have made this quote the basis of every gamification decision I have made so far. The questions ‘What am I already doing?’ and ‘How can I gamify that?’ have kept me on course. So…what things am I already doing? The biggest parts of my classroom are standards-based grading and collaborative groups. I do standards based grading with a max score of 4. Inspired by games like Angry Birds, I decided that students could earn up to four stars for each target. There will be about 20-30 targets all year. (I’m not sure what grade I’m teaching yet and it depends on how many standards there are.) Just like in Angry Birds, students can reassess on old standards and earn more stars. It’s actually built into my class. Stars can’t be taken away. Students will also earn stars doing side missions. I’m thinking that I will have maybe 20 side missions. These will all be content related, but will bring in some creativity. Make a video explaining a concept, explain how a concept can be used in real life, kind of stuff. I’m also thinking of incorporating at least 10 secret side missions. Links hidden on the website that lead to password protected google forms where they have to solve a puzzle or answer a trivia question to get in. A few QR codes on posters in the hallways. Also, because they get stars for academics, all my temptations will only be available to students in the bottom half of the leaderboard. I should also add that I don’t think I’ll have a public leaderboard. I don’t think I’ll need one because I think that the stars will also be their in game currency. They will be able to buy items to help in their mission to take down the antagonists together. So, I have items, Stars are my xp and my currency. no teams because the game is collaborative, no leaderboard. No badges. And I’m working on building some linked spreadsheets so I can have a screen for each student to see their personal game information without other students seeing it. I kept my promise to myself that I would only have two mechanics! Hooray! I have a bit more for my story-line. After talking with some folks on twitter (mostly @MrPowley, @Renard_Teach, and @MeehanEDU). Students walk into class the first day. Greet them and thank them for “signing up”. Explain that there aren’t many super hero training schools left and play the intro video. Have students do super hero themed activities the first week to discover powers, and logos, and …stuff (?). A weird staticy voice is randomly heard a few times. They can’t seem to get a good connection. Students wonder who is trying to contact us… Are they friend who needs help or a foe to vanquish. *Spoiler* it’s the first of the 3 antagonists – a trio bent on using the world’s math illiteracy to destroy the earth – trying to call in to taunt the trainees. No one will ever be able to stop us because no one remembers math!!! Bwhahaha!!! The REAL supers are far too busy to deal with this, so they decide that defeating her will be good training for my trainees. I’m thinking of introducing them one at a time without giving any clues before their actual introduction. Introduce #1 the second week of school (she finally gets through), battle her at the end of the midterm. Introduce #2 when #1 is defeated (“How dare you defeat my sister!! !”/”You never had a chance”). Battle #2 at the end of the first term. Battle #3 at 2nd midterm. Battle all 3 simultaneously for semester review. The antagonists will send robot underlings, The Denominators, to test the knowledge of the students at the end of each unit. Undefeated Denominators will ally with the current antagonist during the battle (adding some additional HP each) and must be defeated before the trainees can damage the anatogonist. Adam Powley wrote a great system of battle mechanics using spreadsheets that you can find here. I’m planning to tweak his “Dreadsheets” to fit my needs. For next semester, I’m thinking about a computer program that the trio works for. Haven’t gotten very far on that, but I will have up through New Year’s to figure it out. a website. I have never created one from scratch before. I’m working on it though using google sites. puzzles that the antagonists can…antagonize students with (See what I did there?). Maybe some riddles that include vocabulary to hint at what the next topic they have chosen to stump the trainees with so they can destroy the world!!! main quests that students can solve to prevent earthquakes (via earth quake machine), tornadoes (via weather dominator), and anything else the diabolical trio come up with. (I cant do this part until I know what I’m teaching, still not hired for a position, just the district so far). lots of side-quests I only have a few right now. I think I will do some that can be used for every unit like “Make a flipgrid explaining how to solve a problem from this unit”. figure out how to do the audio messages that #1 leaves the students the first few weeks of school, probably 3 or 4 of them. I haven’t written at all this year… Geez. I just moved from a little town in New Mexico all the way to Reading, Pennsylvania. I’m mostly unpacked now and I can start thinking about gamification again. 1.) Pick a theme I am passionate about. 2.) Preplan more storyline and get some of the bones of the story figured out before the year starts. 4.) Pick 2 mechanics. Just 2. And then repeatedly talk myself out of doing more. Right now I’m thinking generic superheroes. Maybe the students are in training. I’m not sure yet, but I have all summer to figure it out. I started following Kirk Humphreys (@kirk_humphreys) on twitter a few days ago. He has a flipped classroom unlike any I’ve ever seen. His students have taken complete control of their learning. They even decide how they will be assessed (sometimes). I have been researching for several days and decided that Tuesday, I am going to introduce my students in my Algebra I class to flipped lessons. I am not sure what is going to happen. “Prove to me that you know these standards by giving me examples and solving them to prove your understanding. You may make your own problems, find your own problems, or look up your own problems. You may collaborate with others, but you must turn in your own product, a I need to assess you individually. You may use any way you like to prove to me you understand the standards.” (credit for everything in quotes to Kirk Humphreys). At the end of class, I will assign another video, this time for homework. To accomplish this, I need to have both videos available to students in an easily accessible place before class on Tuesday. I’m thinking Google Drive. I will also have small whiteboards, wall white boards, graph paper, colored pencils, and graphing calculators available for students to use during class. I’m excited! This was my favorite week of school I’ve had in a long time. Last Friday was a school dance. I got to dance Gangnam Style with a group of my students. The turn out was great and the students were great! Monday I helped 6th graders make cupcakes, On Tuesday it was a Poetry Slam. Students sang, read original poetry, and read favorite poems. Other teachers and parents sang spirituals and read their own original poems. So much fun. Then honor society induction on Thursday where I had 8 students see their hard work paid off. Then yesterday was the talent show. My students performed an Irish dance routine, modern dance (think jabbawockeez), and sang beautifully. There were even great skits between acts. It was awesome!